The downfall of Day Light Savings is that now it’s dark again at 6a. I know that in a little while it will get light earlier again, but I was enjoying my quiet early morning walks. Not that I could have done it today. It was pouring rain this morning – and All day long. It’s suppose to rain All Week :-( Pair that with my period and you get one very tired girl. It’s just something about rainy weather that makes me just want to stay in bed all day. Instead, I got up at 6:30a and worked out. Started with Day13 of Mad Abs March Challenge. I like to to do this first before I wear my arms out. I am still doing regular pushups and today was 21. It was really tough, but I did it. I followed it with Tone It Up and Miya’s Beach workout. I used 5 lb weights and did 20 reps each X 3 sets. Tuesday is officially my favorite day of the week now. It is the 1 day I get 4 hours of “Me” time :-) And I LOVE it! I am always thinking about what to do next for Ben, Gio, and Seppe. It’s constant and many times thankless job. I don’t always realize how much it takes out of me to Give so much of myself. It was very nice to have some time where I didn’t have anyone else to worry about, but Me. I took advantage and relaxed for an hour. Then it was time to get my sweat on! I decided to do TIU’s Lean Abs, Arms, and Legs Pyramids. I used 5 lb. weights for the curls and also used them for the squats and lunges. I did 30 lunges each leg. I went straight to the gym to do the Short and Sweet Shredmill. I thought that it would be easier this time around, but no. I was huffing and puffing like last time. Adding an incline really makes a difference. I think I was able to go faster but it was tough. I was drenched with sweat and breathing heavy when it was all done. I will be doing this one often to help train for running on hills. 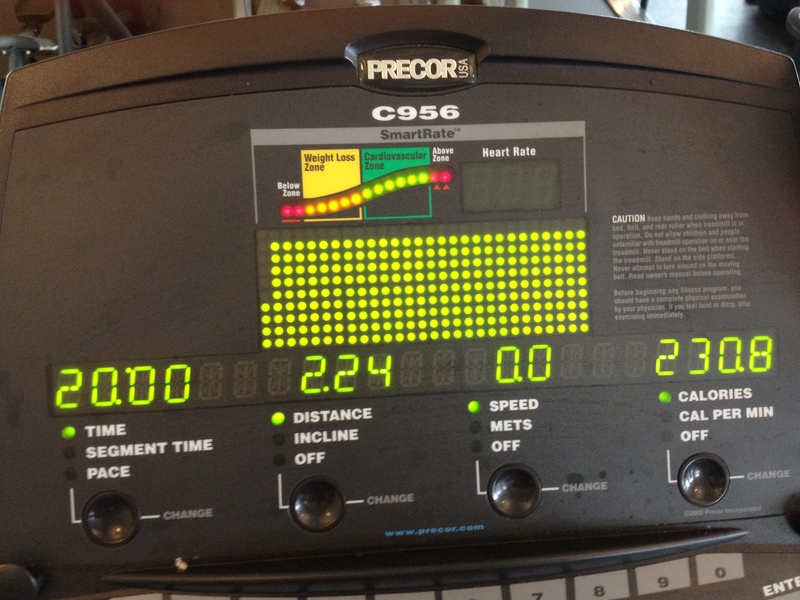 It’s pretty flat where I live so this incline HIIT is great for me. I was trying to do this before Gio got home, but no luck. The boys did really well and played in their room while I did my Turbo Fire workout. I started with Sculpt30. After the pushups and Lean Arms Pyramid, my arms were already worn out. The arm exercises were killer for me today. I did do the pushups on my feet and with the resistance band this time. I had to go to my knees for the tricep pushup though. 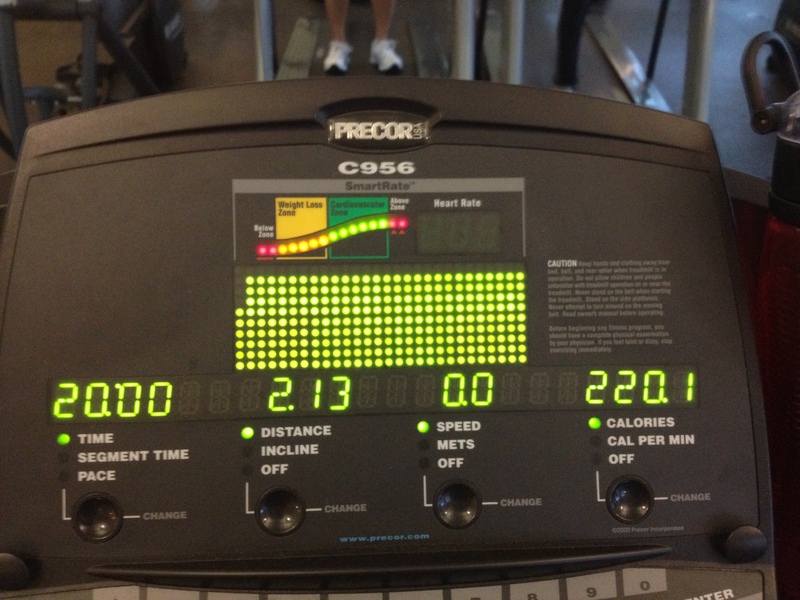 I also really felt all the squats and lunges because my legs were so worn out from the Shredmill earlier. Fire30 was a little tougher today too, but I still did pretty well. I love the second combo in this one. I think the Fire Throw is one of my favorite moves. I went for the jumps and star jacks in the fire drill. The jump during the high low combo in this one I didn’t do because it just throws me off for some reason. It’s hard to Not have fun doing a TurboFire workout :-) The music is great and Chalene is always so motivating and full of energy. 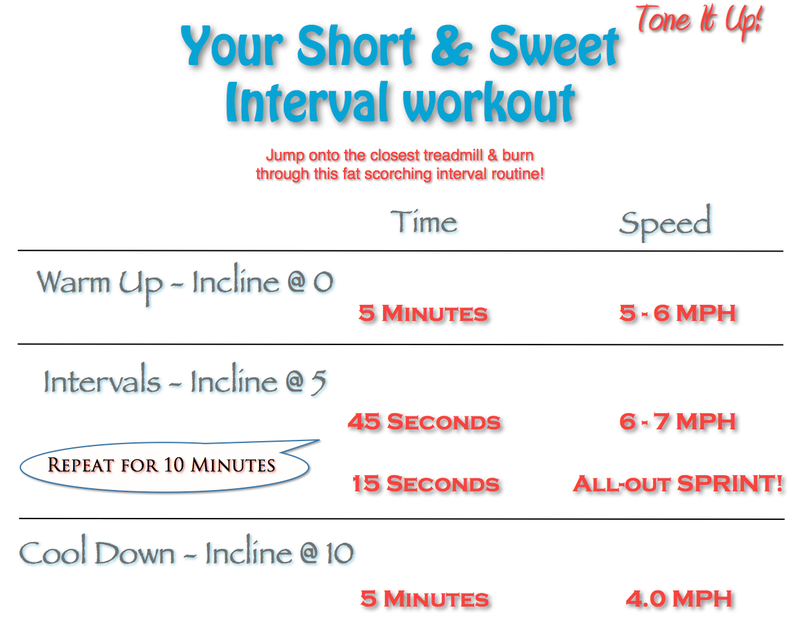 I wanted to try out Tone It Up’s New Max Burn workout but ran out of time. I’m might give it a try tomorrow after my long run, but we’ll see how I’m feeling. I’m going for 8 miles tomorrow – rain and all :-) If I don’t get to the new workout tomorrow, I will definitely do it on Thursday. 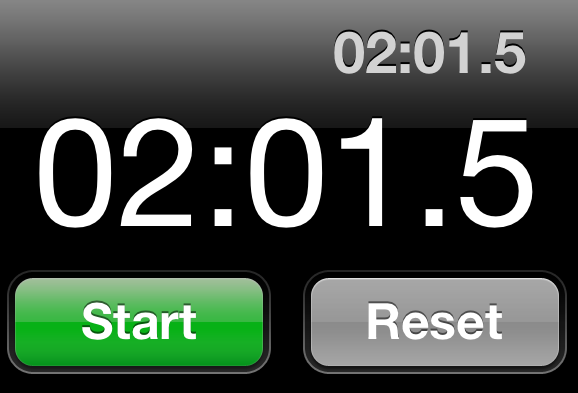 Ended with a 2 min plank. 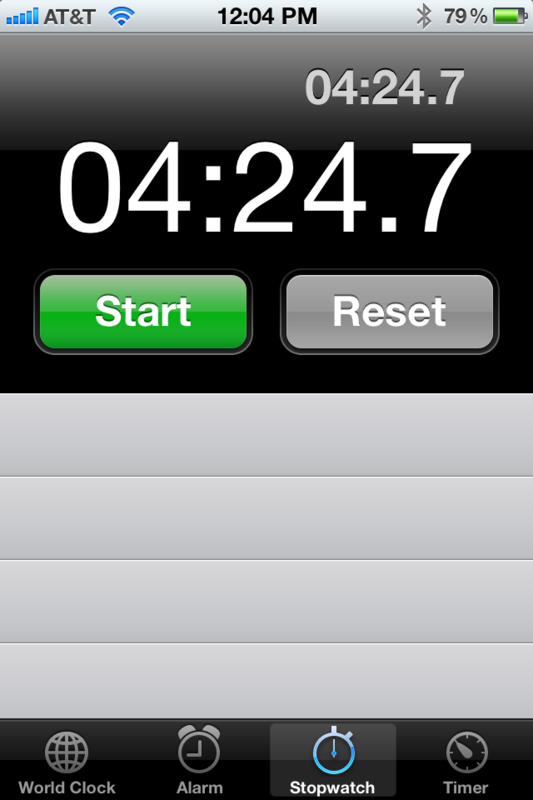 Haven't done a straight plank in a while so I decided to do one tonight all on my forearms. 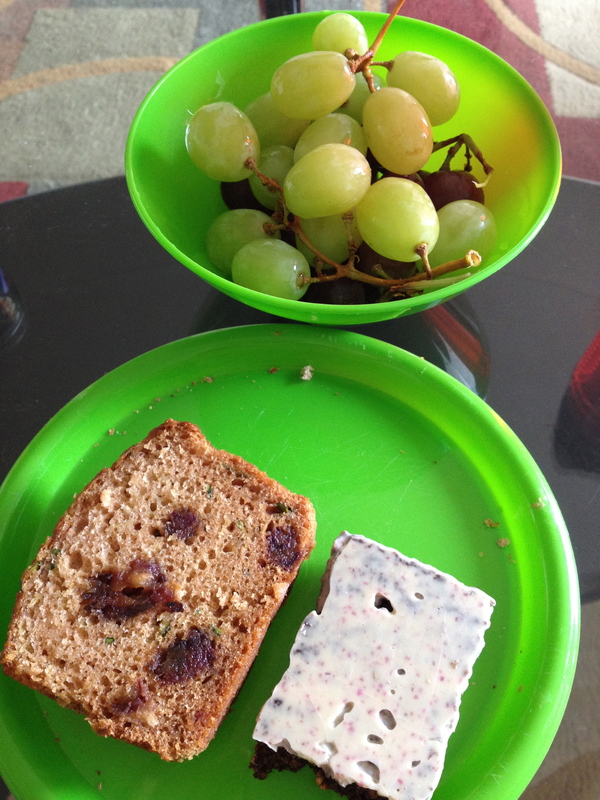 Meals – Ate a little bigger portion sizes and had some more carbs to help fuel up for tomorrow’s long run. 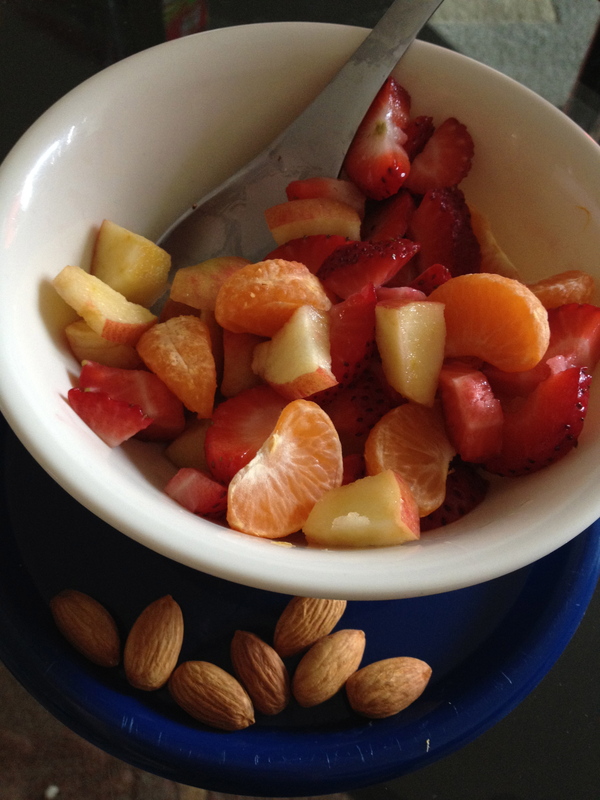 M2: TIU sister Kari posted a pic of her fruit salad with strawberries, apples, and oranges and it looked so yummy that I had to make the one too :-) Also added a few almonds on the side. 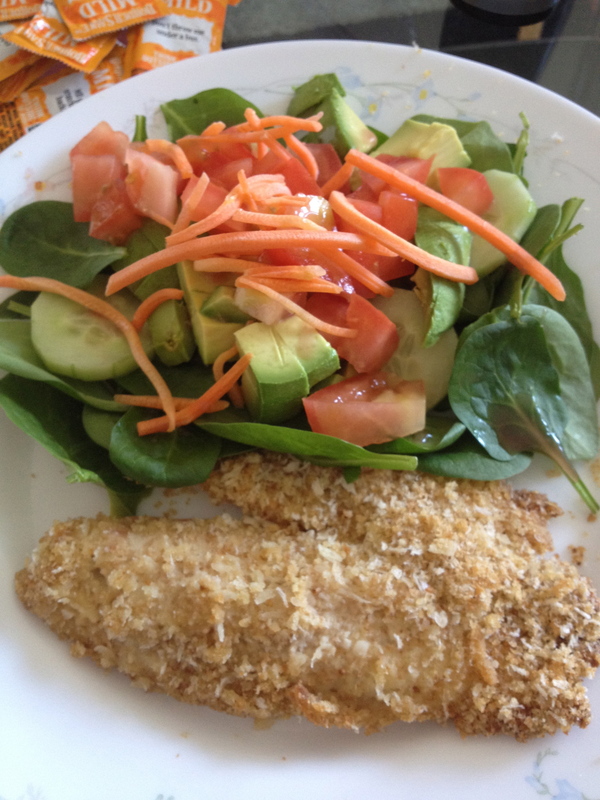 M3: Salad with left over panko chicken, spinach, carrots, cucumbers and an orange. 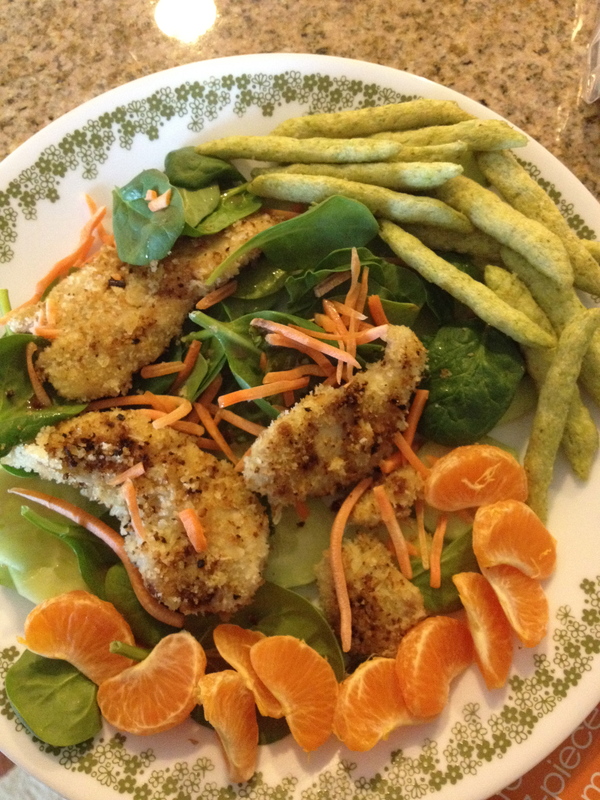 I love adding fruit to salads :-) Also had some Snapea Crisps on the side. 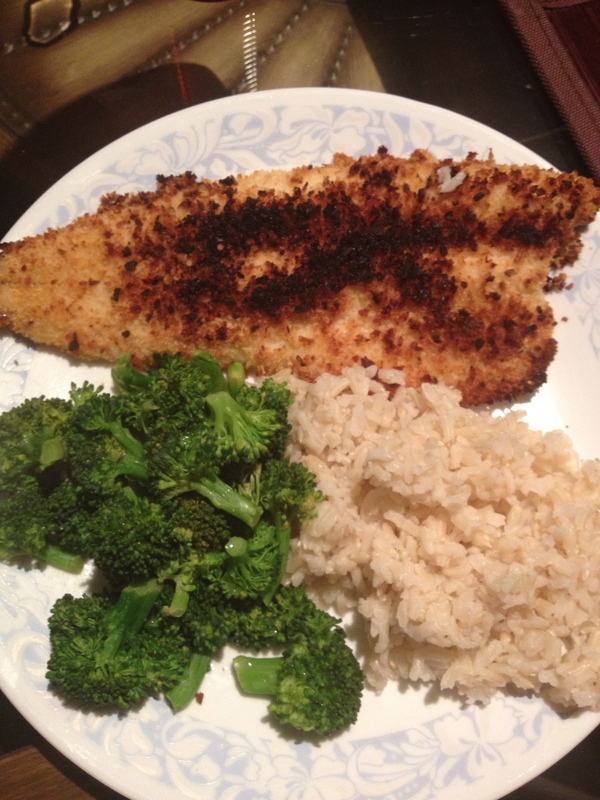 M5: Broiled Panko Rainbow Trout with Brown Rice and Broccoli. 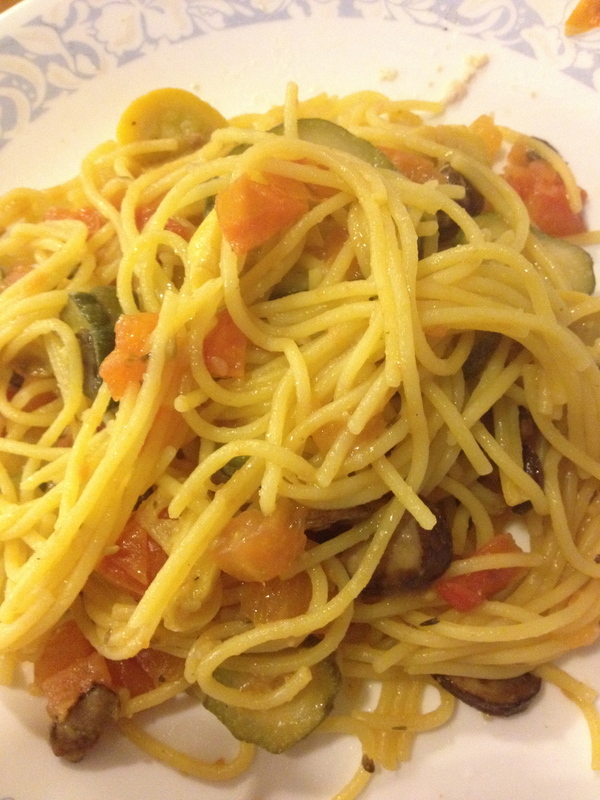 I usually go for pasta but I haven’t had rice in a while and I missed it.